Come relax in comfort at the rental at Watts Cove. Situated in gorgeous mid-coast Maine and conveniently located in Tenants Harbor on the Saint George peninsula, Watts Cove provides the convenience of a full kitchen and two bedrooms. It is a short ten minutes to the quaint fishing village of Port Clyde, fifteen minutes to the Rockland Lobster Festival, thirty minutes to the picturesque Camden harbor and an hour from Boothbay; two hours away from Bar Harbor. There is much to see and do in mid-coast Maine including scenic boat tours, museums, art galleries, theater, lighthouses, beaches, hiking trails and much, much more. The rental at Watts Cove is situated on a protected wildlife preserve. Great herons, eagles, osprey are common sights. There is plenty of room in this cozy cove-side apartment with two twin beds and one Queen size bed. The apartment is located on the second floor with a deck that overlooks the water with a gorgeous view of the sunset nightly. 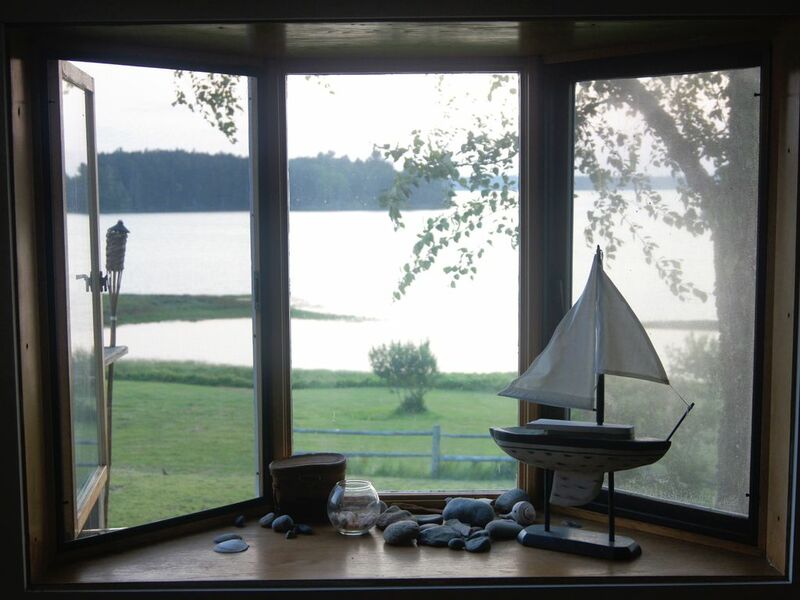 Come join us for a relaxing and restful stay in beautiful Saint George, Maine. Small dogs okay for additional $50 weekly. We found our happy place! Took a long weekend away for our anniversary and found the perfect place! It has an amazing view and it's a beautiful apartment with everything you need to relax. The location is ideal and we loved every moment we spent at this romantic getaway. We had a long drive, but it was worth it! Our Tenants Harbor stay was quiet and comfortable. The sunset views were impressive on the deck. The location is perfect for quick trips to surrounding areas such as Daramiscotta, Booth Bay, Rockland, and Camden. Port Clyde is 15 minutes away from this jewel. The above garage unit was clean and we have no complaints. A five star stay for the price and convenience. It was amazing everything I wanted!!! Beautiful place and great helpful owners.. Cute place with great views. Well stocked. galleries, theater, lighthouses, beaches, hiking trails and much, much more. The rental at Watts Cove is situated on a protected wildlife preserve. Great herons, eagles, osprey and even a seal or two are common sights to see as you take the cove canoe out for a sunset cruise. The apartment is located on the second floor with a deck that overlooks the water with a gorgeous view of the sunset nightly. Come join us for a relaxing stay in beautiful Saint George, Maine.